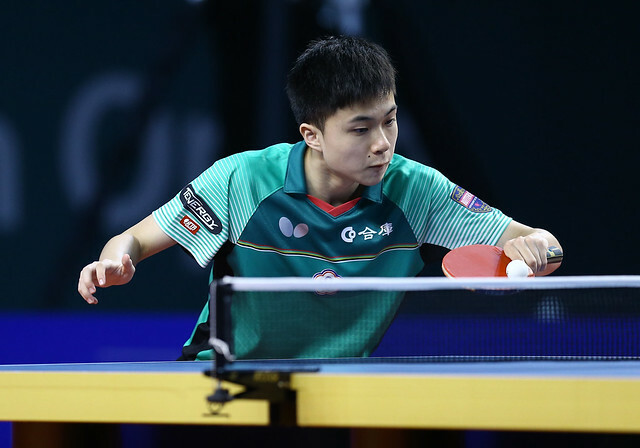 Places in the main draw at the Seamaster 2019 ITTF Challenge Oman Open decided on the concluding day of qualification, Thursday 21st March, players who caused upsets the previous day continued their good form. Somewhat differently, for those who had experienced defeat there was second chance. Again as on the opening day, knowledge counted. …………Frenchmen Can Akkuzu and Alexandre Cassin caused the biggest upset in the second preliminary round. They beat Iran’s Nima Alamian and Noshad Alamiyan, the winners on the ITTF World Tour in Belgium in 2015, in four games (11-4, 6-11, 11-9, 11-9) to book their place in the main draw. …………Singapore enjoyed success. Lucas Tan and Goi Rui Xuan accounted for Kazakhstan’s Denis Zholudev and Gulchekhra Khusseinova (11-9, 10-12, 11-6, 11-8), Clarence Chew and Lin Ye overcame Pavel Platonov and Nadezhda Bogdanova of Belarus (11-7, 10-12, 11-7, 11-8).